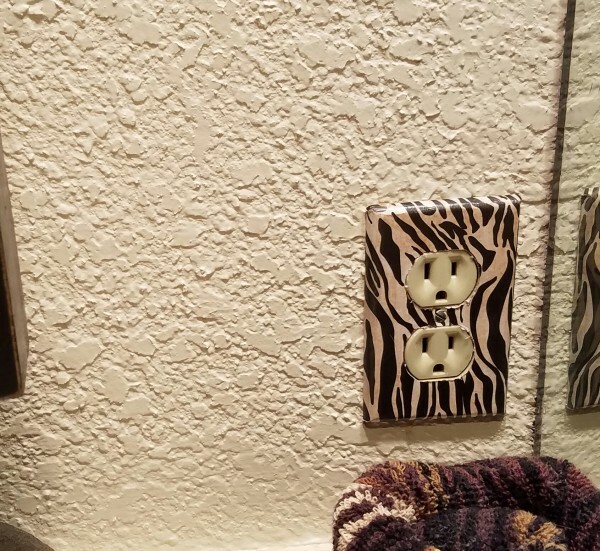 Here recently I have added some animal print switch plate covers to my guest bathroom. If you have just started to follow along you may have missed my repurposed wood chair turned shelf, and my shabby animal print valiance. 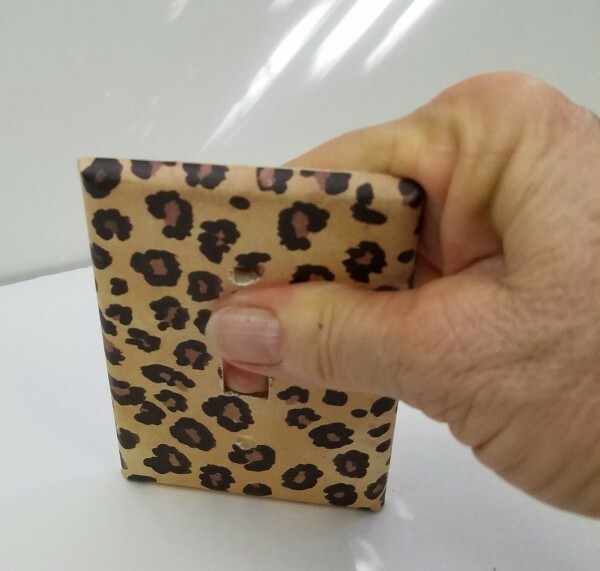 That I had made for our guest bathroom with the safari animal print theme. First you will need some switch plate covers. You can either buy some cheap one at Home Depot or even Walmart, or just remove the ones that are already covering your switches like I did. 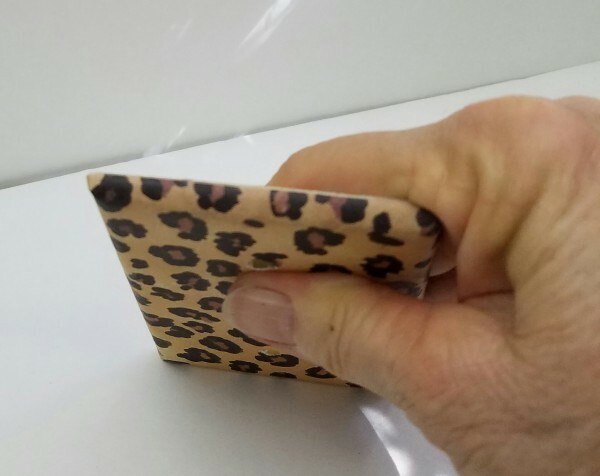 Choose the animal print scrapbook paper that you are going to use. As you can see in the photo’s I have two switch plates that I am going to cover, and one electrical plug cover plate. 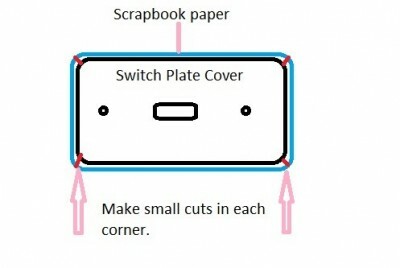 Now cut your scrapbook paper just a little bit larger than the switch plate or plug cover that you are going to cover. 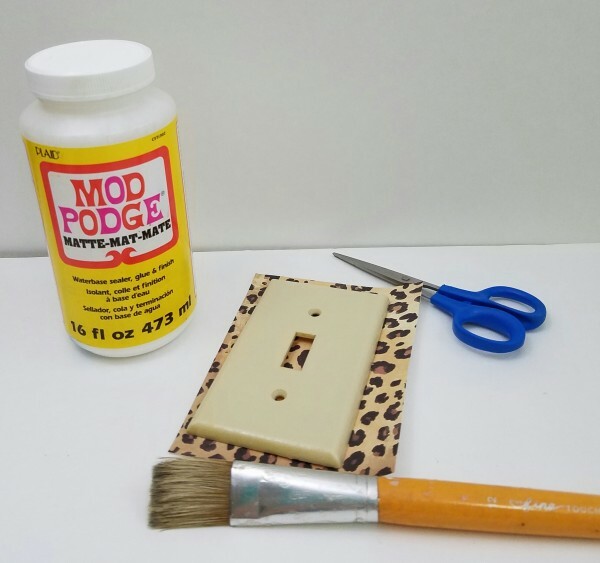 Using your paint brush add the mod podge to the top of your switch plate cover, do not paint the curved edges of the switch plate yet. 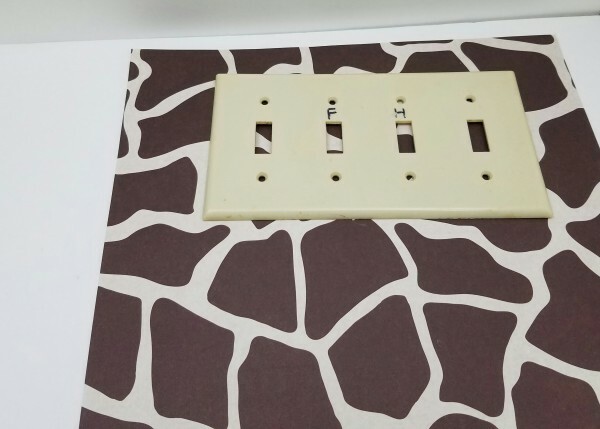 Lay the scrapbook paper face down and the position your switch plate onto the paper. Let dry. 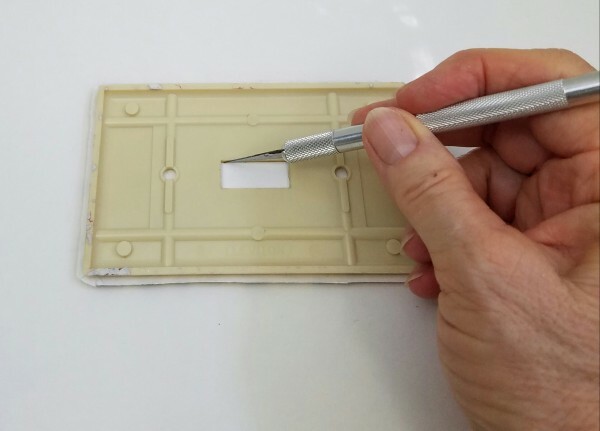 Taking your x-acto knife and using the cutting board to lay the switch plate on face down. Start cutting out the switch opening and the two small hole openings carefully. This next step I seem to have forgotten to take the picture (probably because I didn’t have a third hand, LOL). But I will walk you through this step. 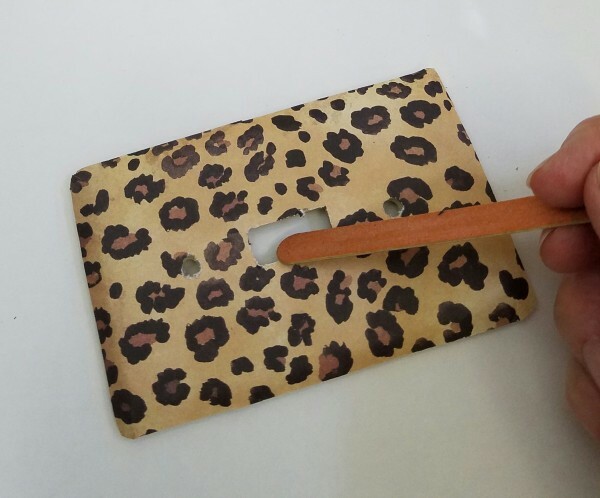 Looking at the photo below, take the switch plate and roll it up onto the edge so that the paper is flat on the cutting board. 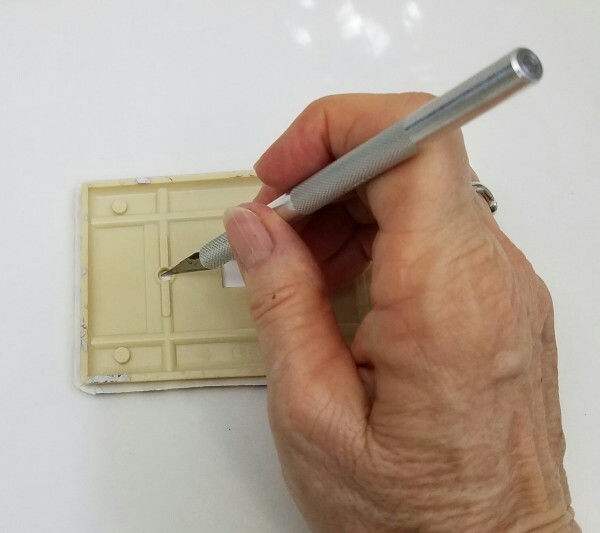 Keep it in this position while using the x-acto knife to trim off the extra scrapbook paper. Go around and repeat on all sides, and do the same for the corners because they are rounded. Looking at the example picture above made a small cut at each corner on the scrapbook paper. The small red lines are the cuts. This is to help the scrapbook paper lay flat once glued down. 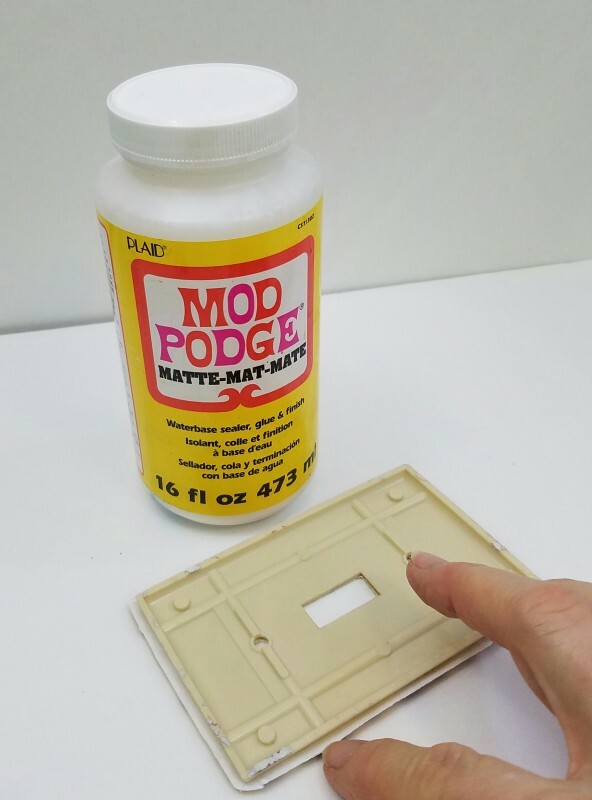 Now go around the edges adding mod podge then use the same rolling to the edge method to glue the edges down smoothly. 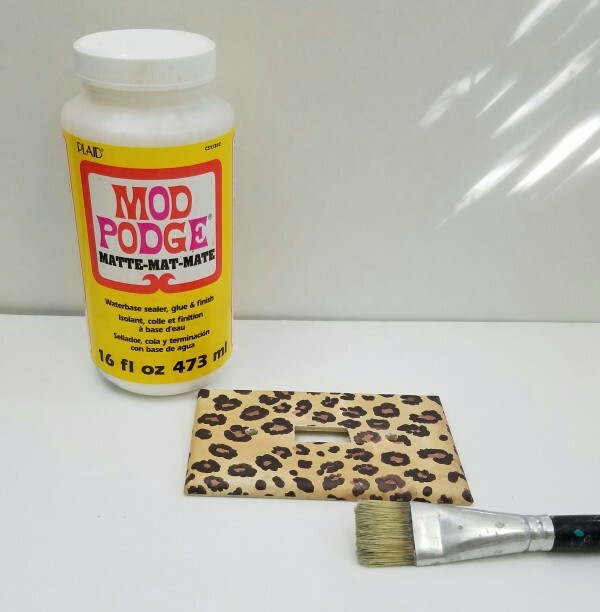 Once the mod podge is dry go around and sand the edges with an emery board to remove any excess paper, and smooth the edges. 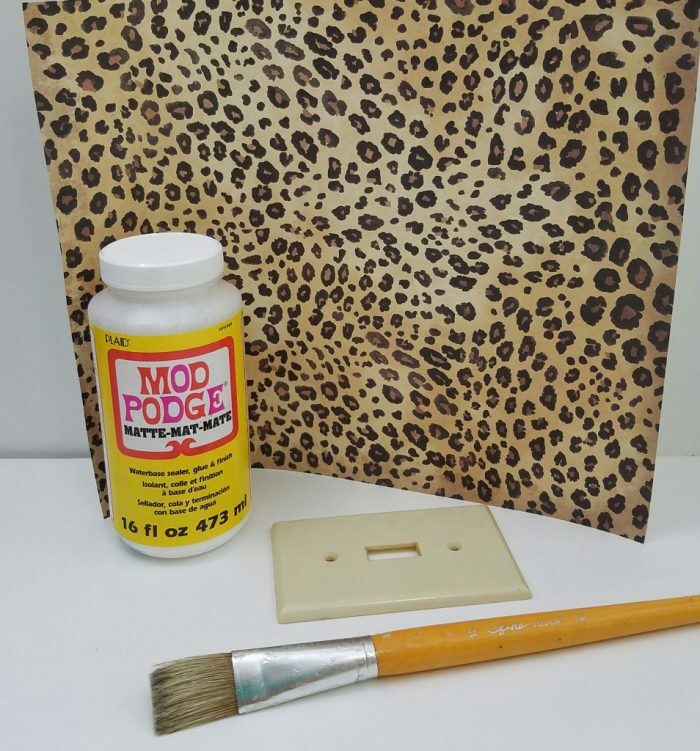 Next I added the antique medium to darken the animal print. Let dry. 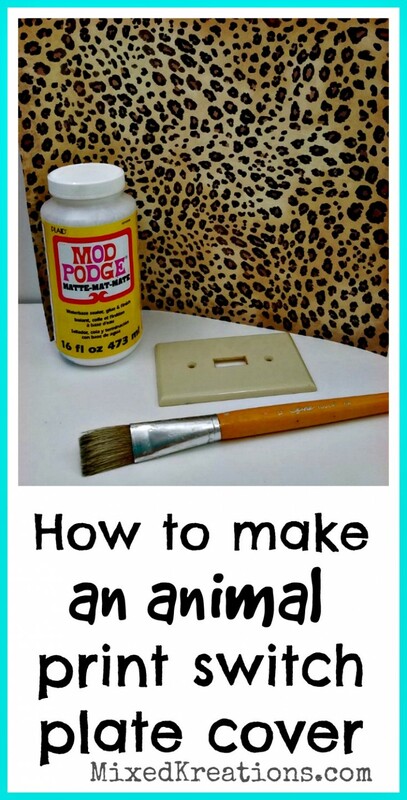 Then I brushed mod podge over the tops of each animal print switch cover to seal and protect each cover plate. 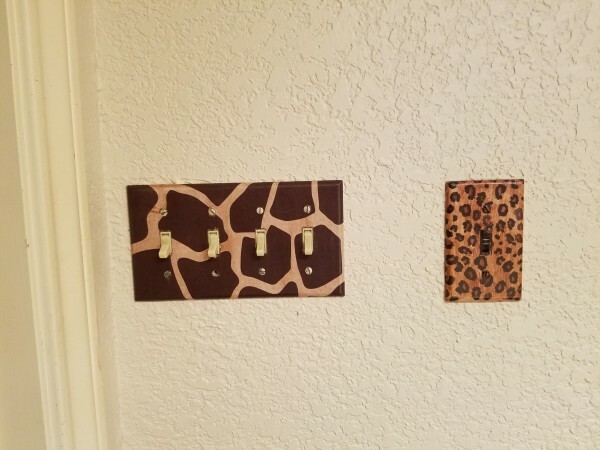 Once dry you can attach the animal print switch plate covers back in place on the wall. 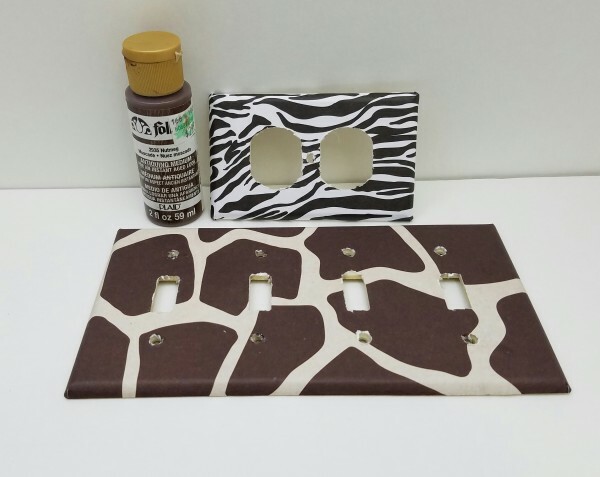 That’s all there is to making animal print switch plate covers that will bring a smile to anyone that sees them. If you found this post helpful, please share and pin for later reference. I was a lamb, now I am a? Linda these are so cute. Now you can totally customize all of your switch plates without having to spend a fortune. I love your bold choice of patterns. The tutorial is excellent also. Thank you Mary! I may eventually have all of my switch plates covered. LOL. The fancy switch covers are so expensive, and I just can’t bring myself to pay $20 a piece for all the ones we would need. SO easy! And I love how anyone can tweak this DIY to make it their own style just by changing up the paper. 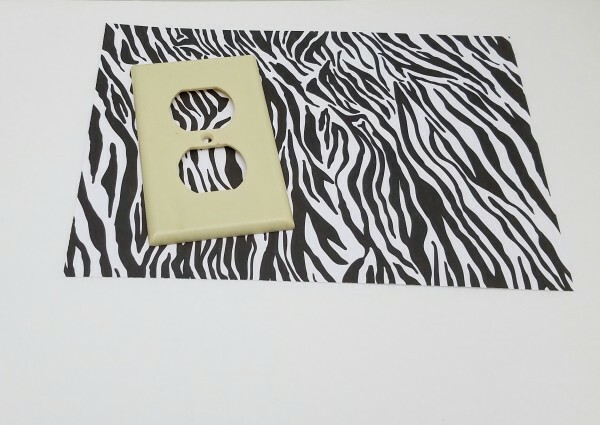 There is so many pretty patterns of scrapbook paper where you can make the switch plates any style that you want. I’m thinking of making one for my craft room. I’m sure I can find something crafty. Love this Linda!!! You really need to do a video shot of the guest bathroom, with all the beautiful things you’ve made for it. Can I come visit, I promise to bring a little bit of Africa with me? This is such a great DIY idea Linda! Thank you Ilka! I like that it is a easy and inexpensive way to dress up plain ole switch plates. Fancy ones are so expensive. This is also pretty easy-to-do, even my kids can do it. Thanks you so much for sharing another great DIY ideas, Linda! Thank you Jennifer! It is very easy, and I bet kids would enjoy decorating their own switch plates. Probably need some help when it comes to cutting the holes for the switch and screws. These look so cool Linda, and they would be so easy to customise for any room – brilliant! Thank you Sarah! Yes they would, and I intend to make more just haven’t gotten around to it yet.